Needs change with the seasons, and that goes not only for us but for our pets. At Tidewater Drive Self-Storage, we’ve helped many people in Norfolk pick the right self-storage unit for their belongings and those of their four-legged and feathered companions. 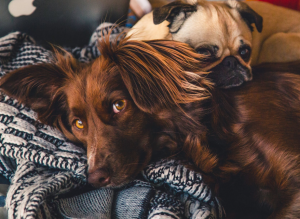 If you have a dog, cat, or other pet at home, chances are you have lots of stuff for them, and if you don’t make use of everything on a regular basis, self-storage is one way to ease the clutter in your home. DO NOT keep live animals in self-storage! It should go without saying, but it’s not uncommon for people to attempt to keep things that don’t belong in a unit. Live pets are definitely a no-no. Storage units are not equipped to house animals, not even for a few hours. Make sure everything is clean. If you plan to stow away travel carriers, pet beds, “cat condos” or clothing, give everything a good cleaning first. It’s important to remove dander and mites beforehand, so you don’t risk damage to your property, especially if you’re storing other items along with your pet’s things. Use sealed containers for loose food. Do you buy pet food in bulk? If your home is too small to accommodate large bags of dry kibble or bird seed, you might want to make room in your current storage unit for extras. If so, it’s a good idea to place the food in a sealable bin to help keep it safe. Mark all containers with your pet’s belongings. You’ve probably thought of this already, but we want to stress the importance of labeling every box and bin you store. Labels make everything easier to sort and find, and if you have multiple pets it doesn’t hurt to be specific. Place all of Rover’s things in one bin, and all of Fido’s in another for easy retrieval. That way, their belongings won’t be confused for yours. Have more questions about the proper storage of pet supplies and clothing? Contact Tidewater Drive Storage Center today and don’t forget to ask about our $1 first month’s rent special.